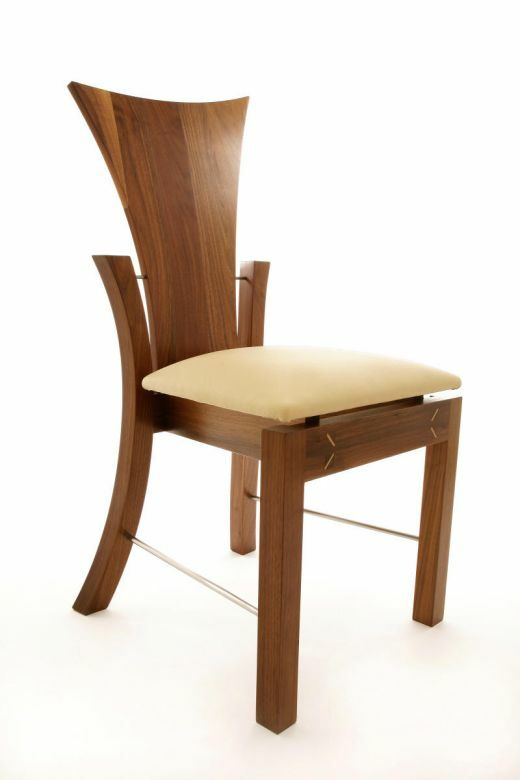 This dining chair was inspired by natures free flowing curves. 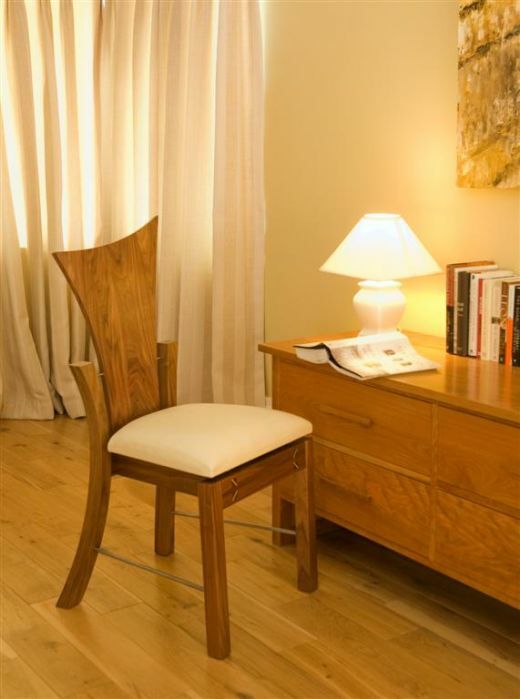 It’s elegant but lavish design allows this chair to become the centre piece of any room. The curved back held in place by a stainless steel bar gives full support for the human spine. 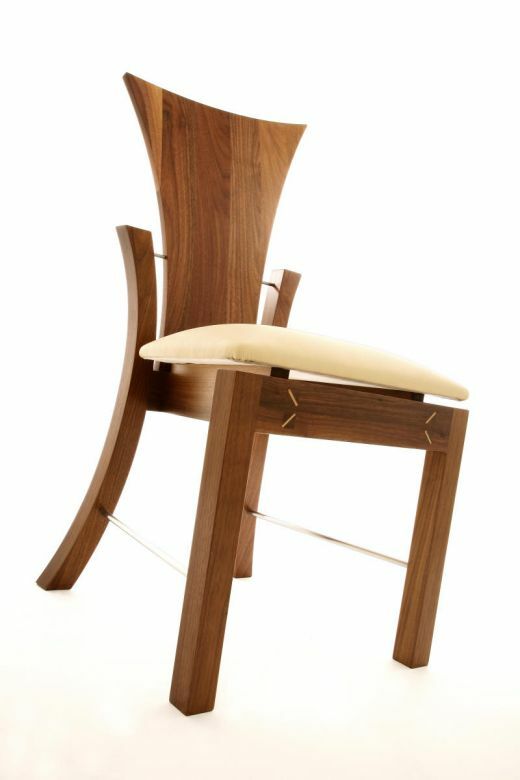 The back legs curved in two planes followed by the floating seat and the exposure of the honest jointing methods, this chair has an endless amount of detail. 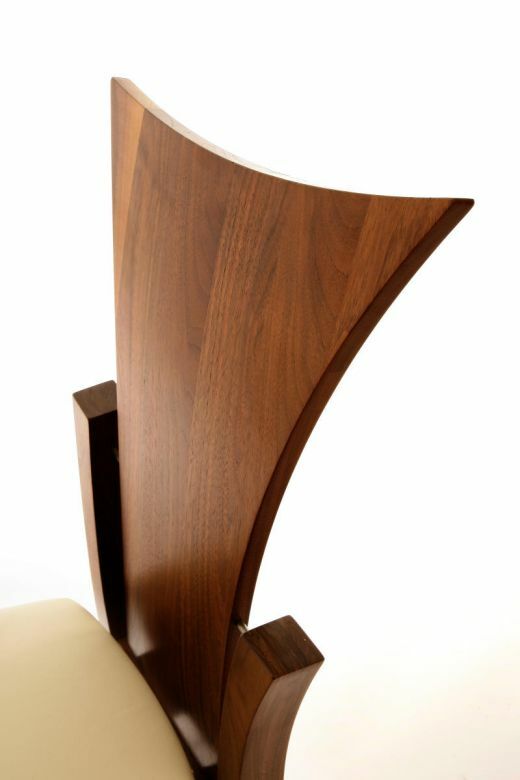 Made from American Walnut with European Sycamore wedges and stainless steel bar. This chair can also come with a leather or wooden seat and in other timbers types on request.